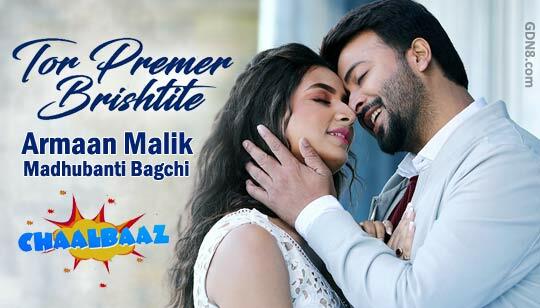 Tor Premer Brishtite Lyrics from Chaalbaaz The Song Is Sung by Armaan Malik And Madhubanti Bagchi Starring: Shakib Khan and Subhasree Ganguly Music composed by Savvy Gupta And Directed by Joydeep Mukherjee. News about Tor Premer Brishtite Chaalbaz Song Lyrics: Great news for all Armaan Malik lovers, He is come with his Romantic Track of the Season from Chaalbaaz Bangla Movie with Madhubanti Bagchi. Featuring: Shakib Khan and Subhasree Ganguly Other Cast is Rajatava Dutta, Sagnik And Others.